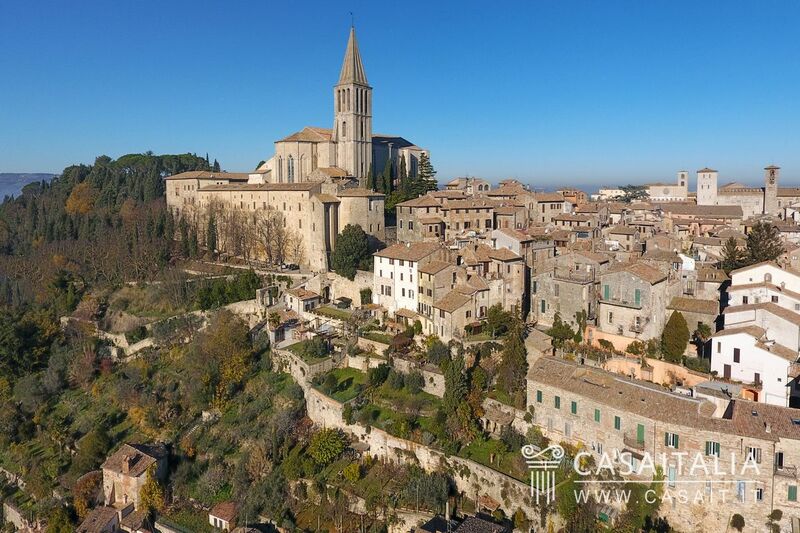 Todi Mon Amour apartment is situated in a unique location in the historic centre of the city: a stone’s throw from the Church of San Fortunato (less than 100 metres) and from Piazza del Popolo (200 metres), and has a large private garden with panoramic view of the valley. 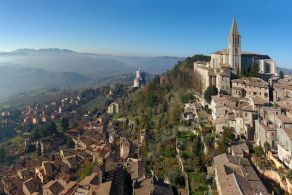 The E45 motorway in accessible in less than five minutes and provides a fast connection with Umbria’s main historic centres, including Orvieto (37 km) and Perugia (44 km), and with the A1 motorway which goes to Rome (135 km) and Florence(190 km). 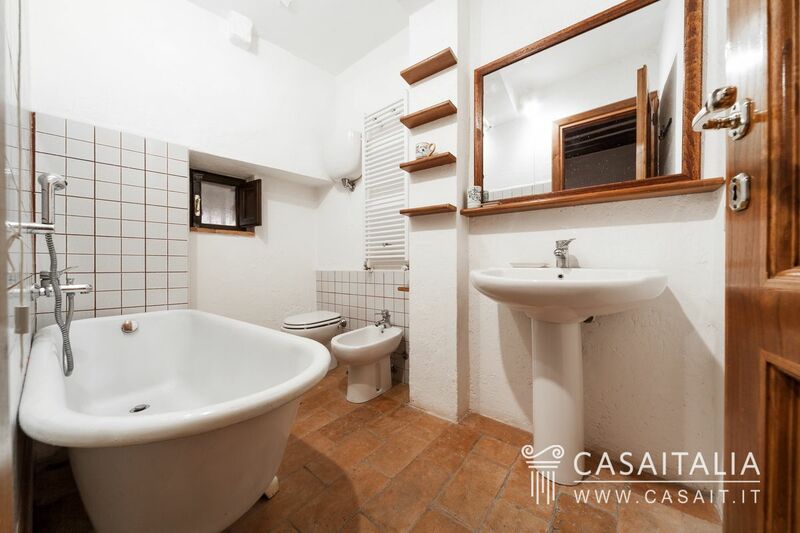 For potential guests, the property can be accessed via a large communal parking area just outside the walls of the city centre, from which you can get to the apartment in about 5 minutes via an elevator. 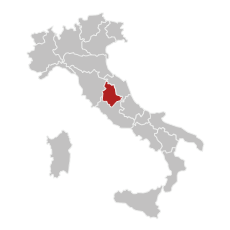 The nearest airport is Perugia, less than an hour’s drive (47 km), while Rome Ciampino and Rome Fiumicino airports are less than two hours away (145 and 160 km respectively). 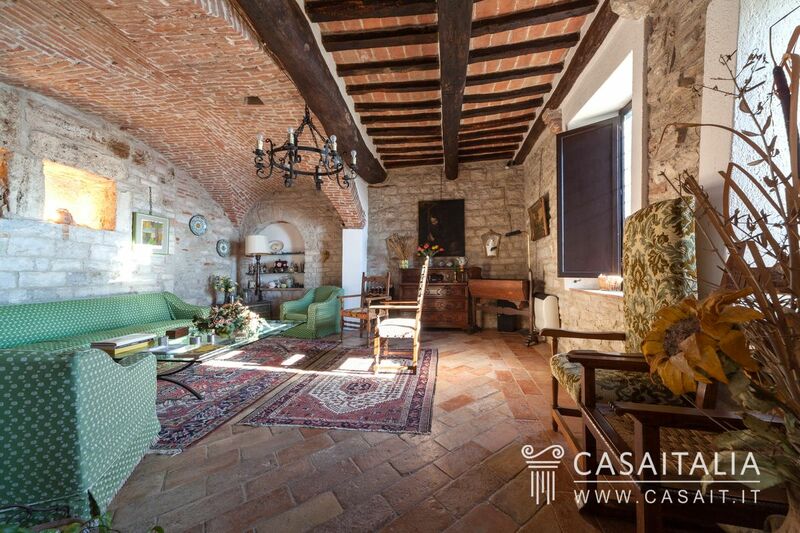 The apartment measures approximately 300 sq.m in total, over three floors, following the incline of the land. 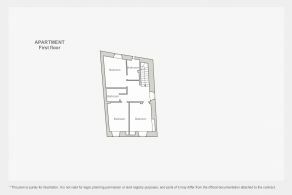 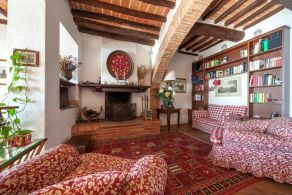 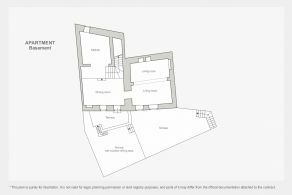 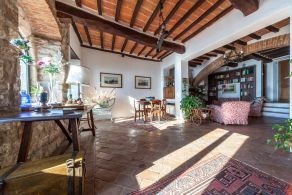 The entrance hall is on the ground floor, and leads to one sitting room with fireplace and another sitting room with panoramic terrace, and where there are also two bedrooms with private bathroom and a further bathroom. 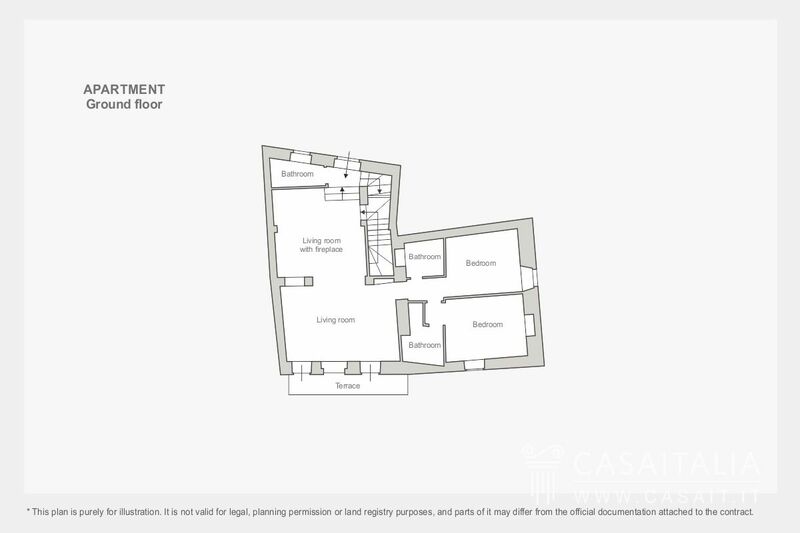 From the ground floor you can go down to the lower floor, where there is the living area, or to the upper floor, with the sleeping quarters. 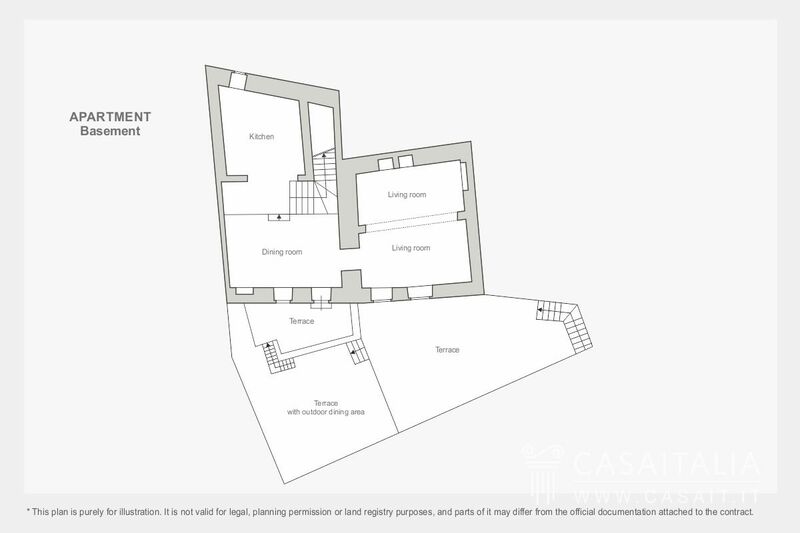 The living area comprises an open kitchen, the dining room, which provides access to large outdoor terraced areas, ideal for getting the sun or outdoor dining, and a sitting/living room. The sleeping quarters on the top floor are split into three bedrooms, one with private bathroom, and another bathroom. 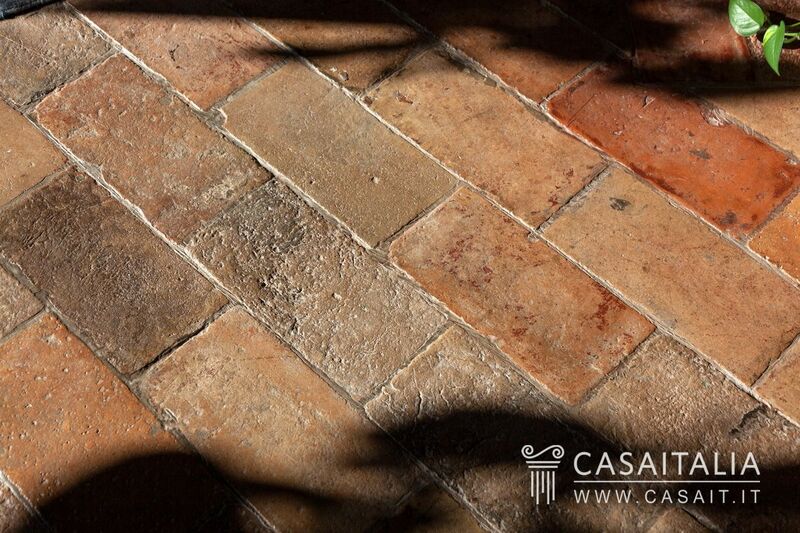 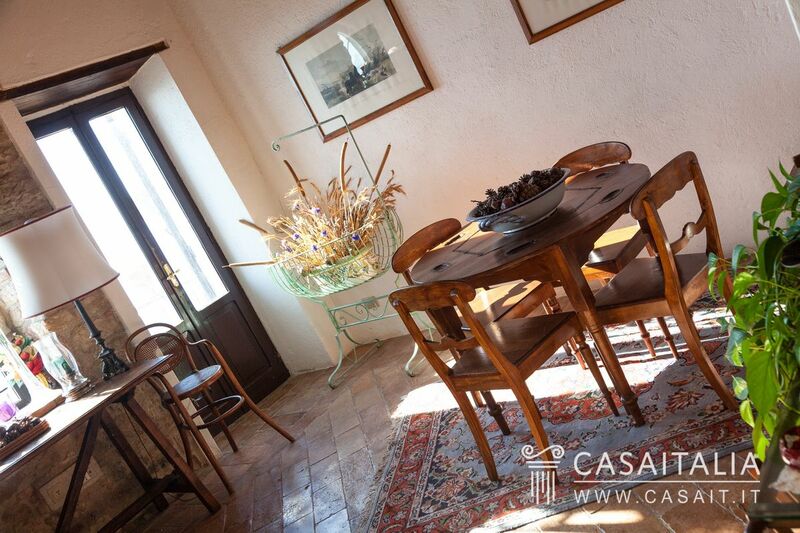 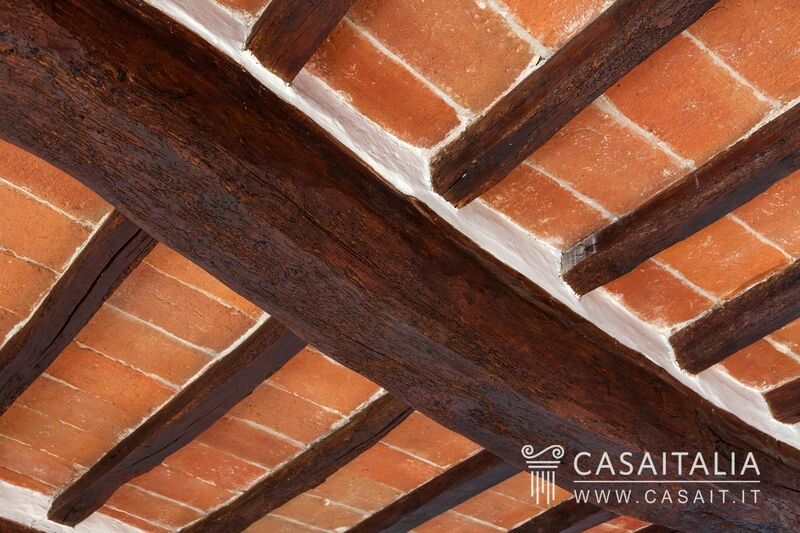 The apartment has been restored, preserving the original materials and is in perfect condition. 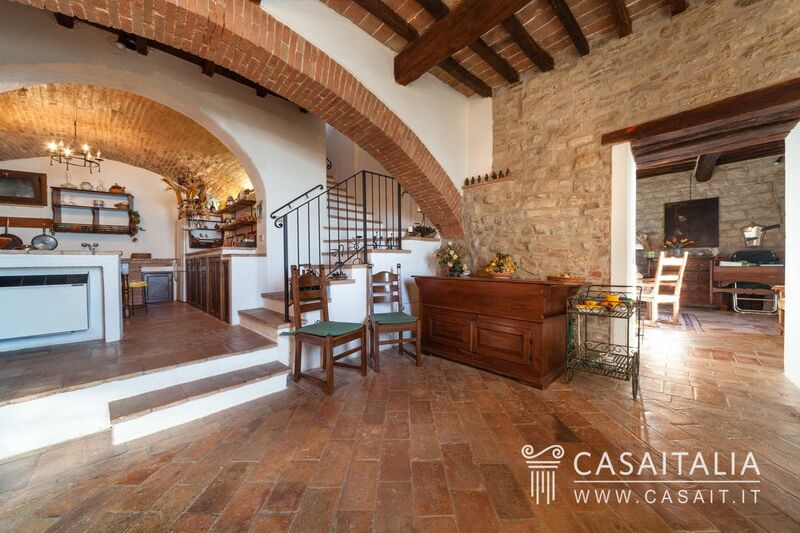 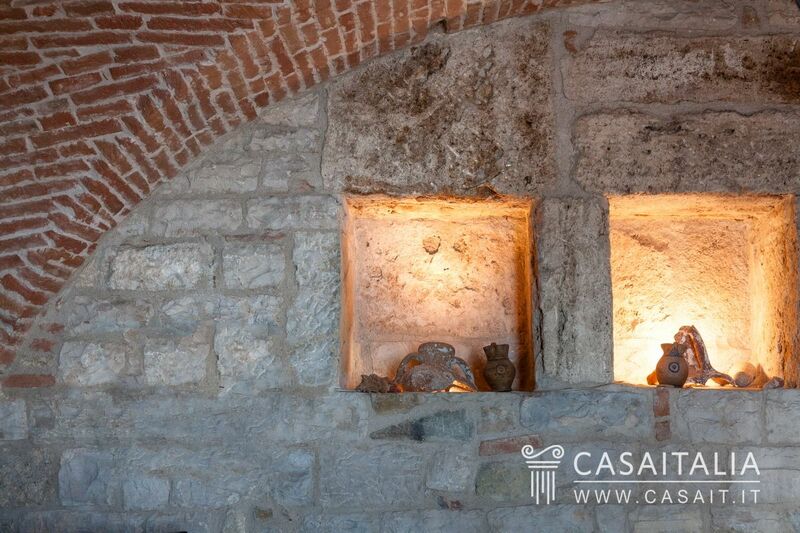 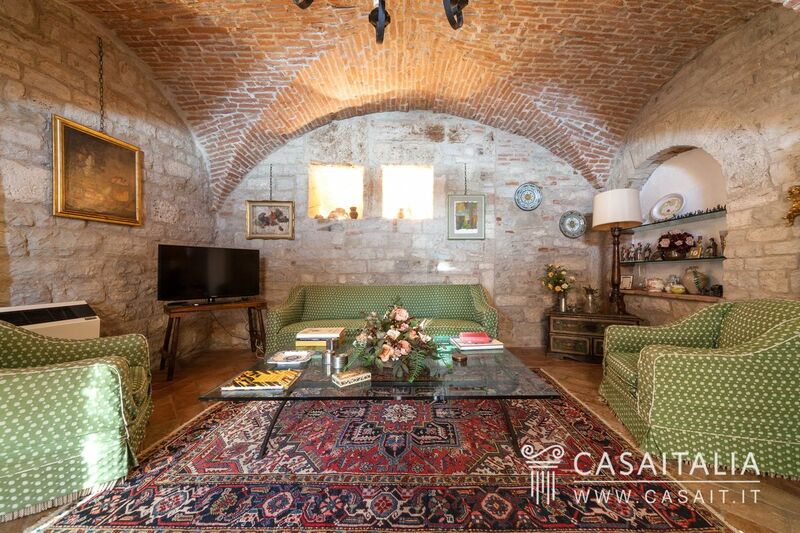 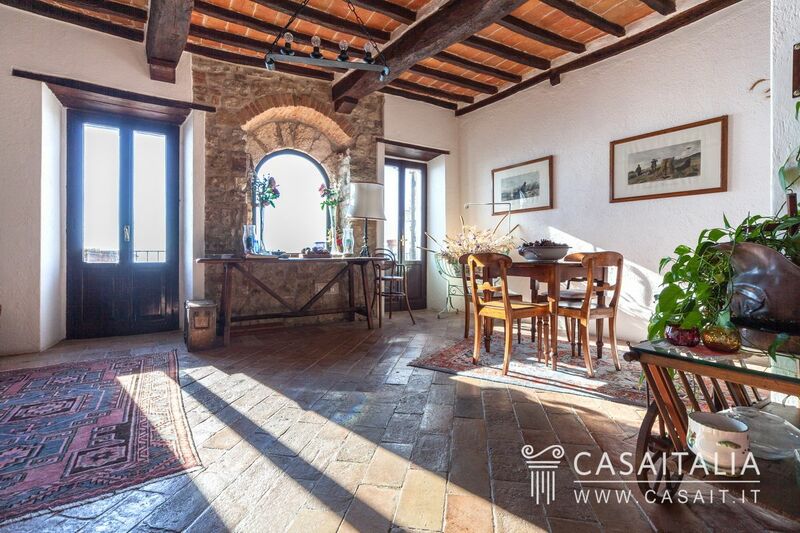 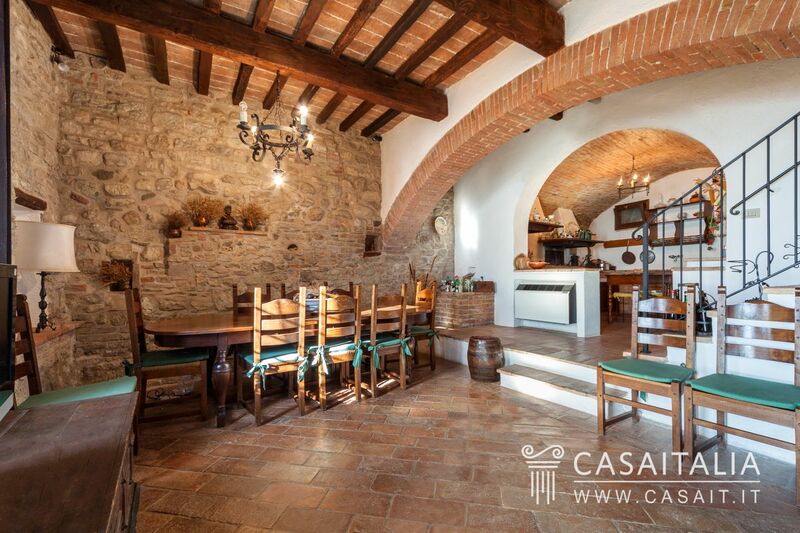 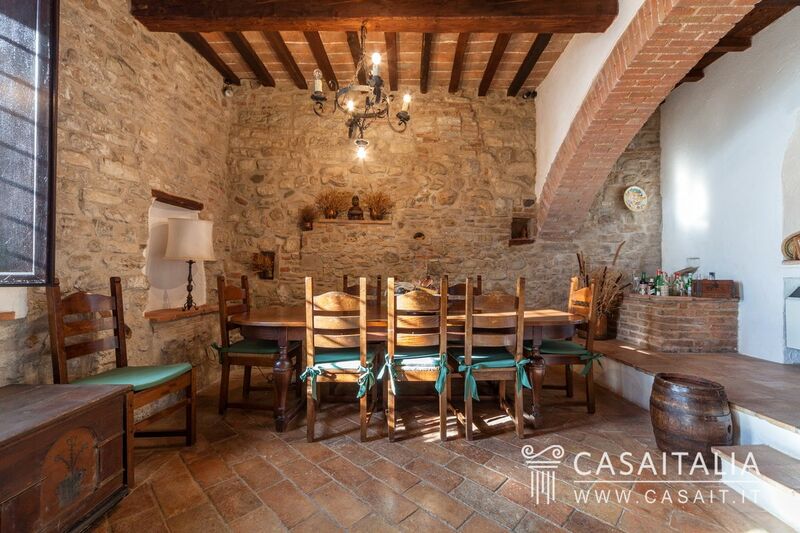 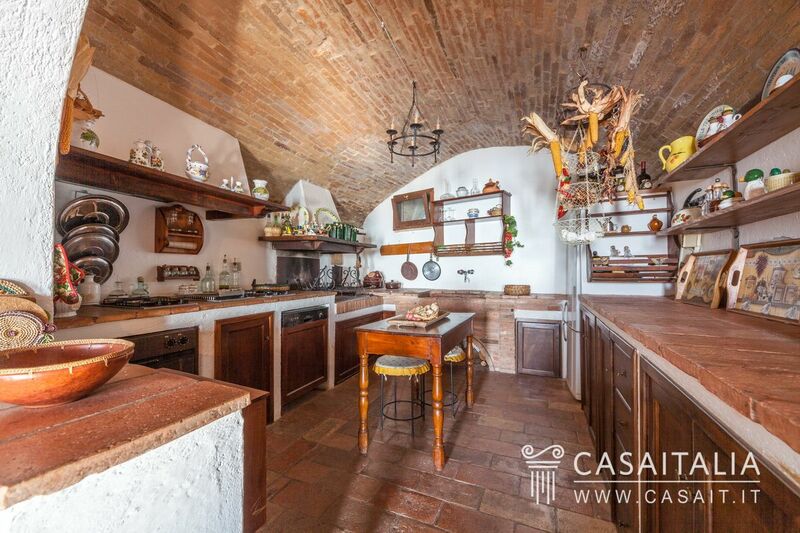 The finishings are traditional, with tiled floors and wood-beamed and tiled ceilings, and with vaulted brick ceilings and exposed stone walls in a large part of the living area. 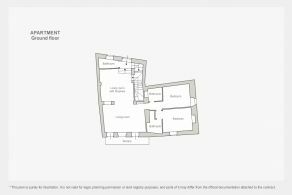 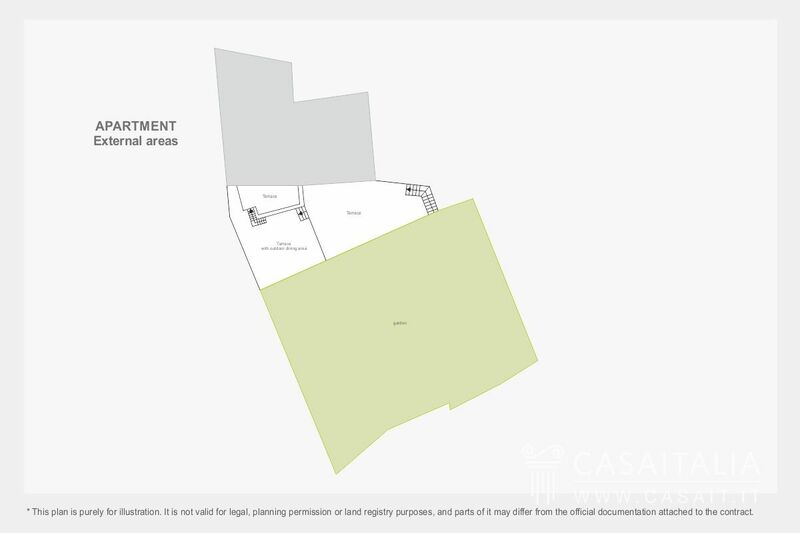 The outdoor spaces and the location are the key selling points of this property. 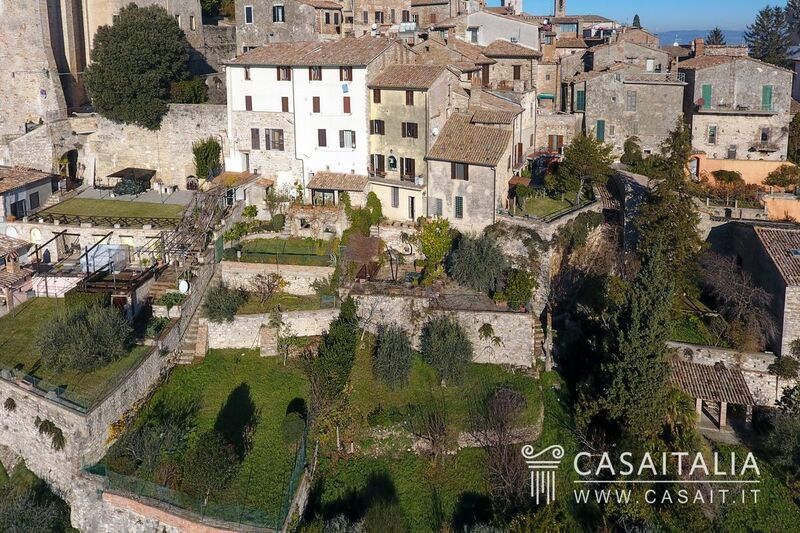 It is certainly rare to find apartments with gardens in the heart of a historic centre, and it is even rarer to find one with a panoramic garden. 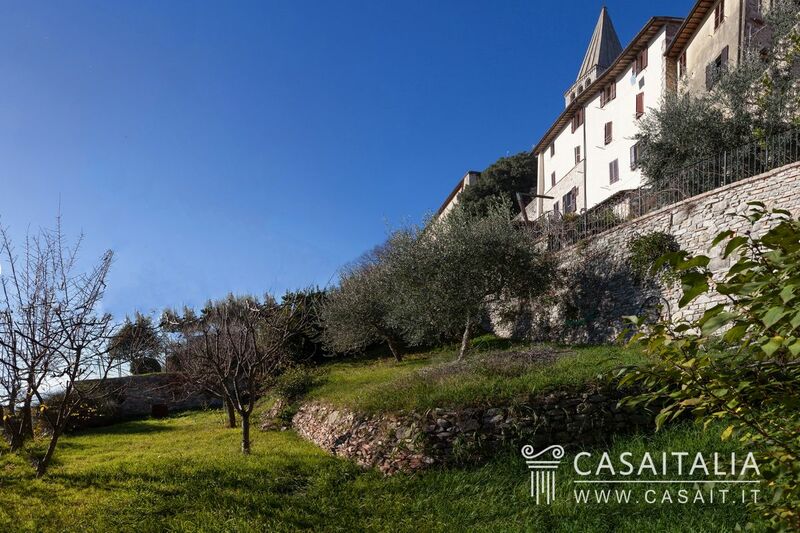 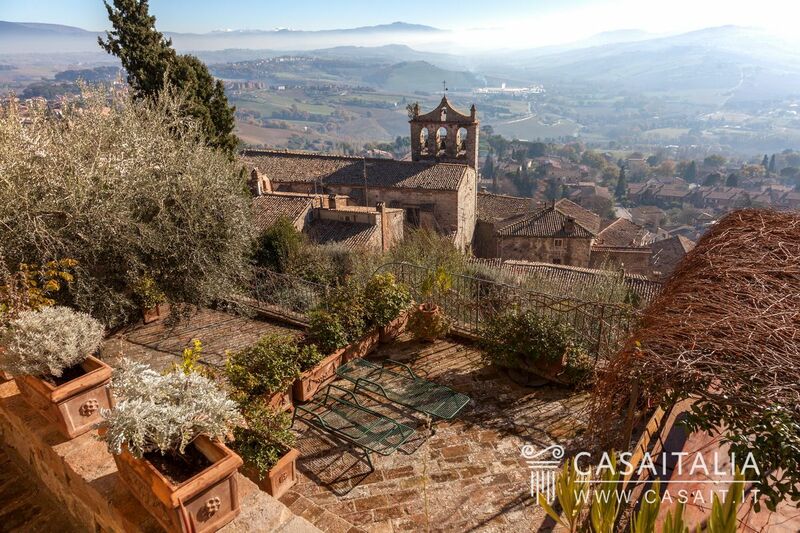 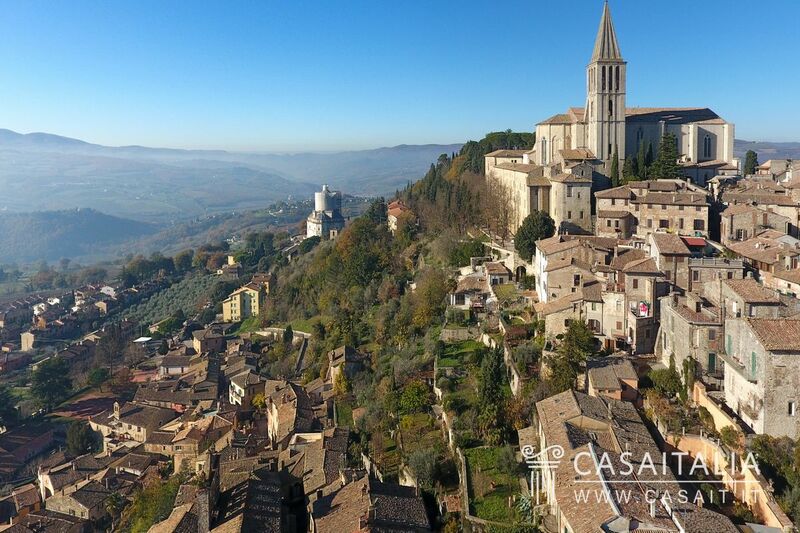 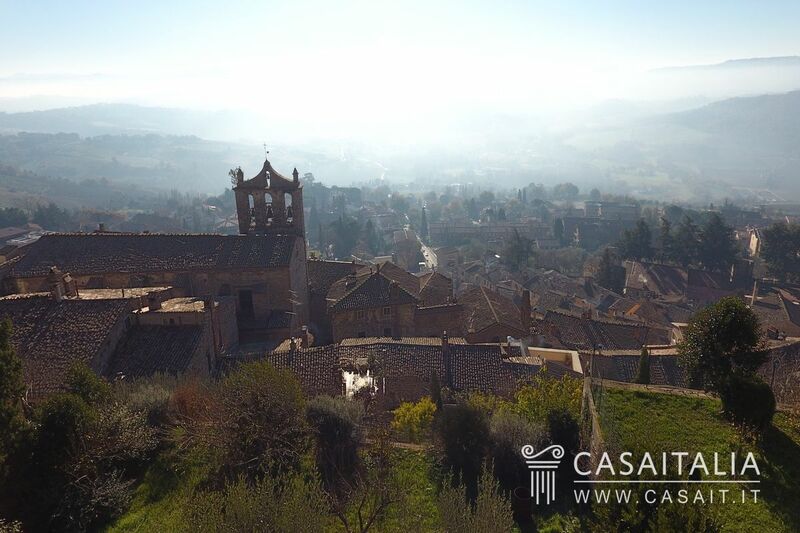 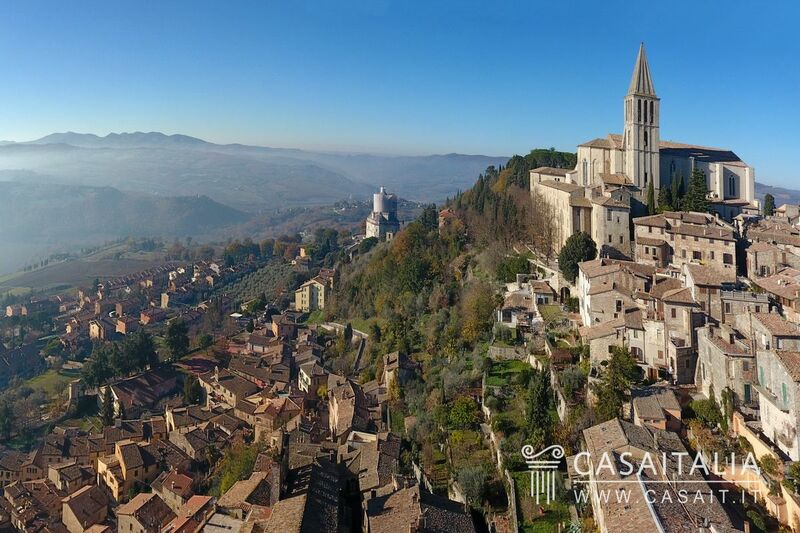 Todi Mon Amour benefits from an outdoor terraced area, accessible from the living room and ideal for open-air dining during the summer, and also from a large private garden measuring around 380 sq.m, with a magnificent view of the valley below. 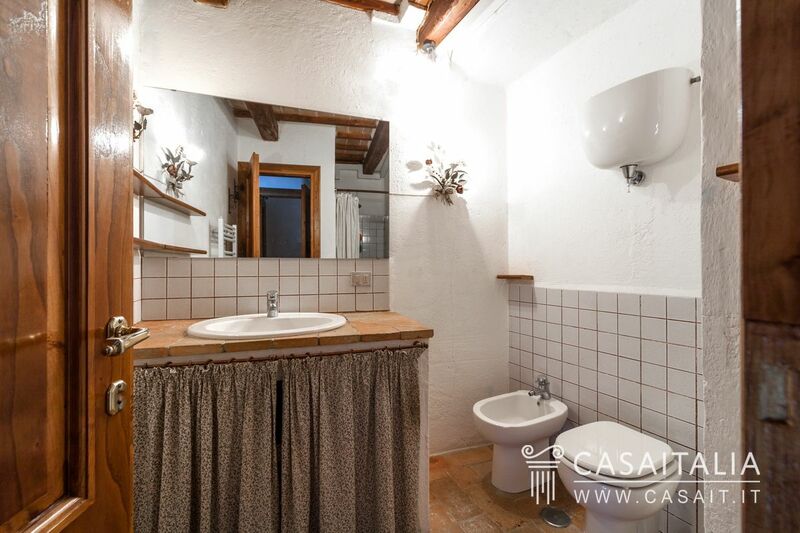 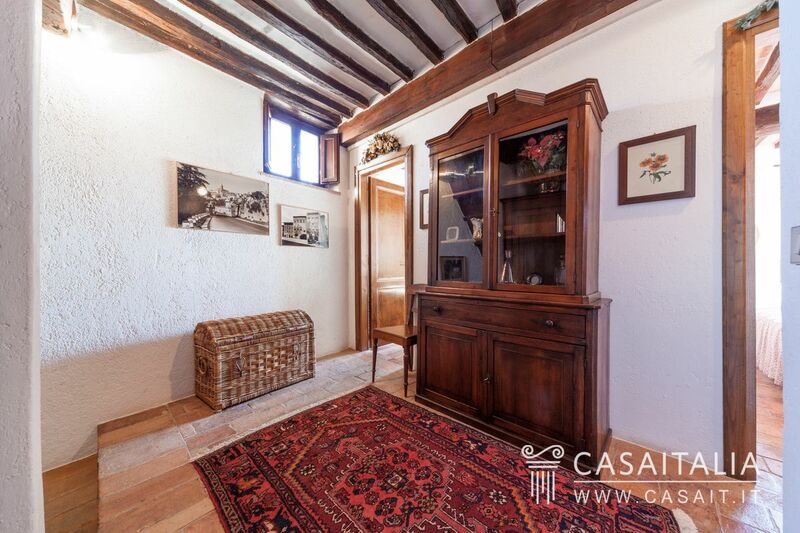 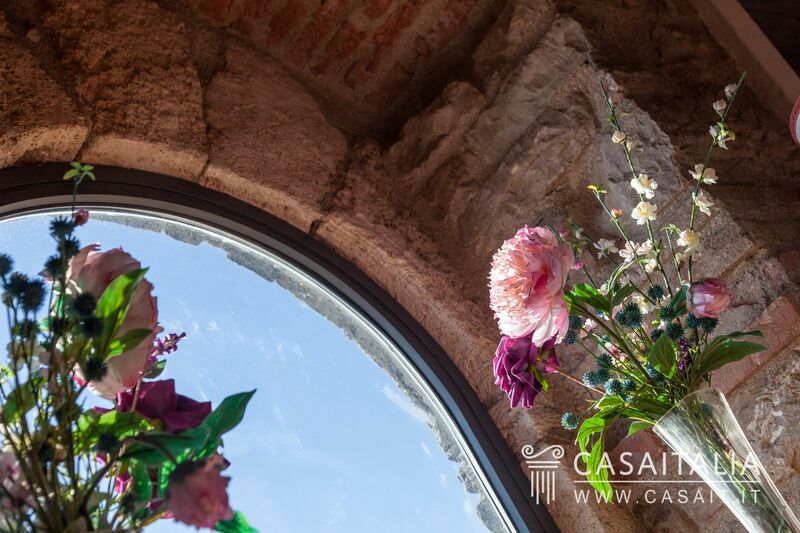 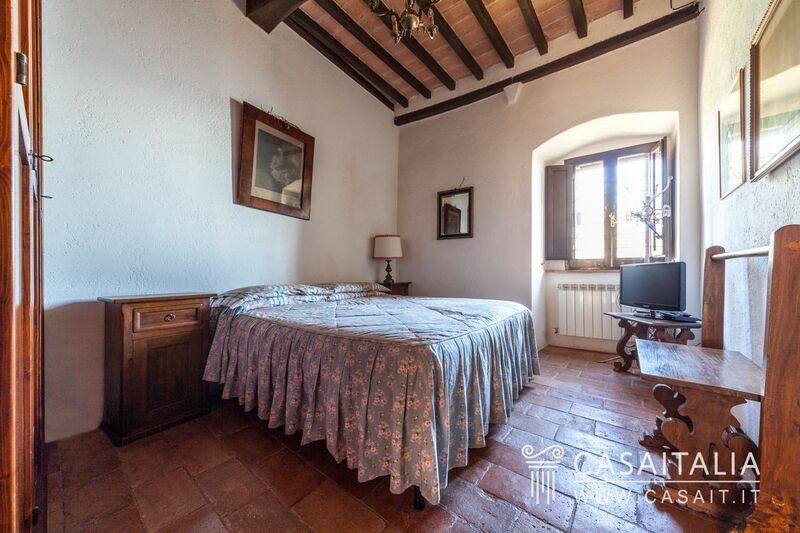 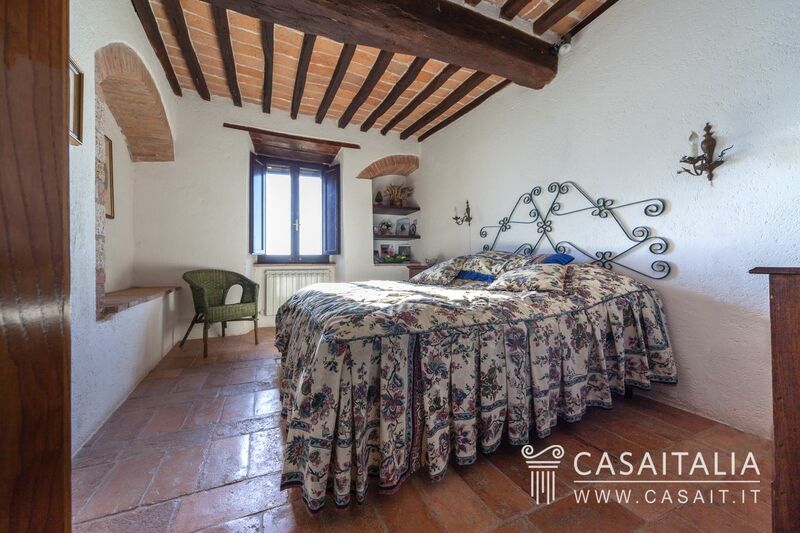 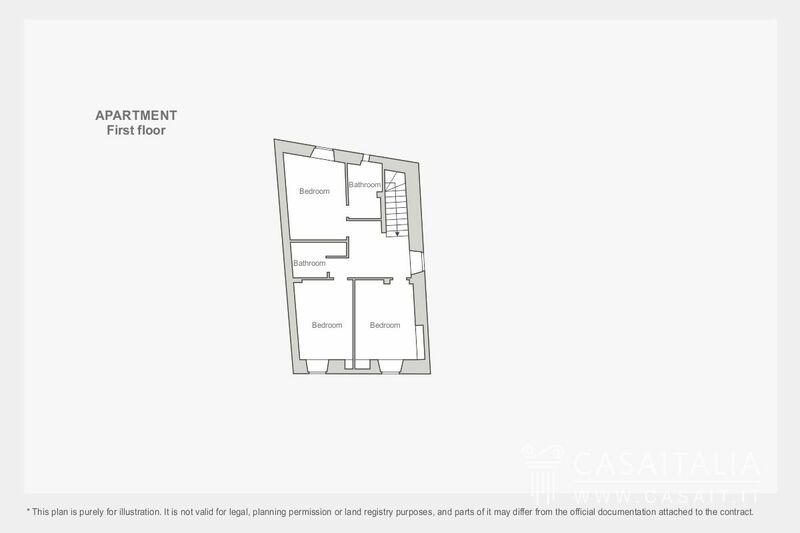 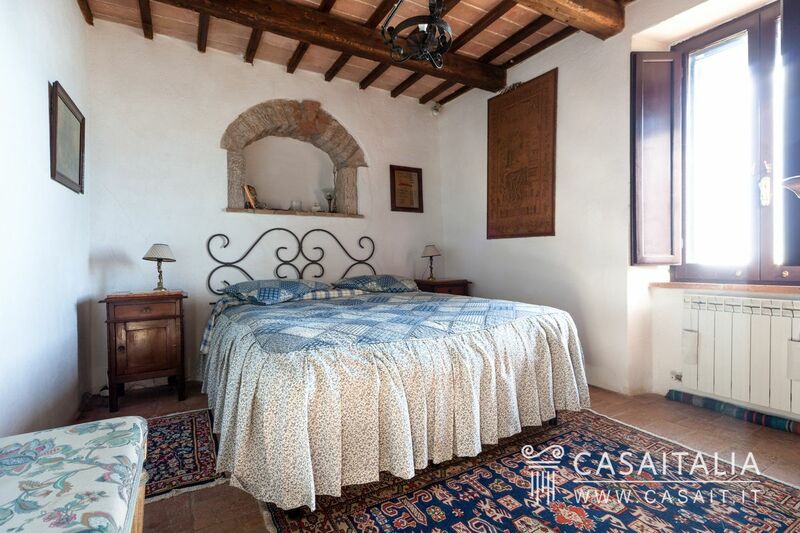 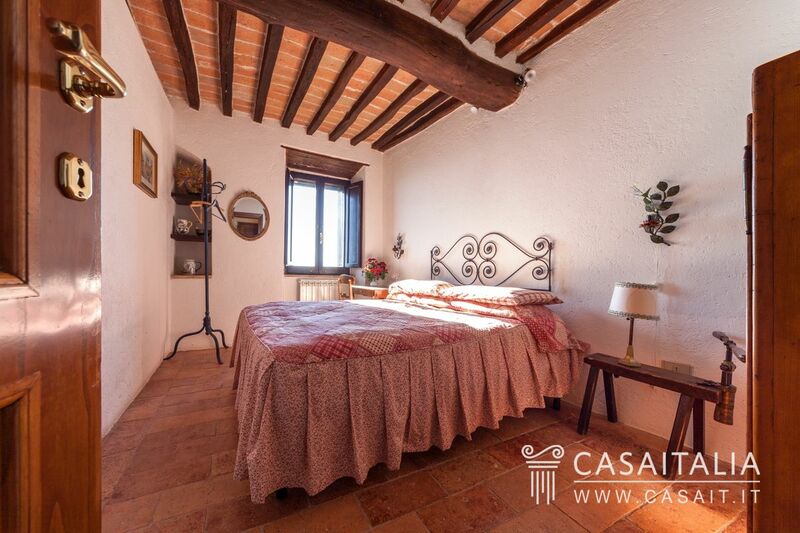 Perfect as a main residence or for spending long holidays, for those who love to live in the historic centre but who don’t want to miss out on contact with nature, this apartment would also be ideal for those looking for an investment property. 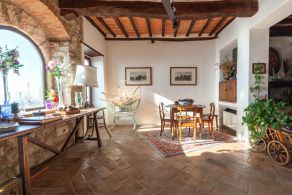 Thanks to its location and its features, the property could certainly be put on the international market for weekly holiday rentals, generating an income when it is not in use.